The teeth play an important role in our routine life. We have to eat every single day and teeth are necessary to chew the food. Moreover, the teeth are important because they make our smile great if they are attractive. The loss of one or more teeth can result in different problems for an individual. The dental implant surgery is a safe and effective way to get back the lost teeth. The dental implant types and the dental implants cost in Dubai will be discussed in this blog post. Please continue reading to learn more about it. These are frames or posts made of a metal. A dental surgeon position these posts or frames into the jawbone beneath the gums. To do this, a surgery is performed by numbing the treatment site. After the metal post has been implanted, and the treatment site has healed, the surgeon mounts the replacement teeth onto them. At the Euromed Clinic Center Dubai the procedure is performed by a qualified and experienced dentist. You need not worry about the side effects and risks; the healing period is quite short. Endosteal Implants — This type of dental implant is directly implanted into the jawbone. After this, the surgeon will wait so that the surrounding gum tissue gets healed. After the healing, the surgeon will perform a second surgery to connect the post to the original implant. In the end, the artificial tooth or teeth is attached to the post. Subperiosteal Implants — This type of dental implants are fitted onto the jawbone just below the gum tissue. After doing this, the surgeon will let the gum heal. Once the gum is healed, the frames implanted into the jawbone become fixed. Being attached to the frame, the posts protrude through the gums. In end, the teeth will be mounted to the posts. Which of the dental implants types are you interested? Do you want to know the cost of dental implants in your case? Please do not hesitate to contact us anytime if you want to learn more about the treatment. The best way to know everything about it is to book an appointment with our dental implants expert. The dental implant types and their cost structure has been discussed above. 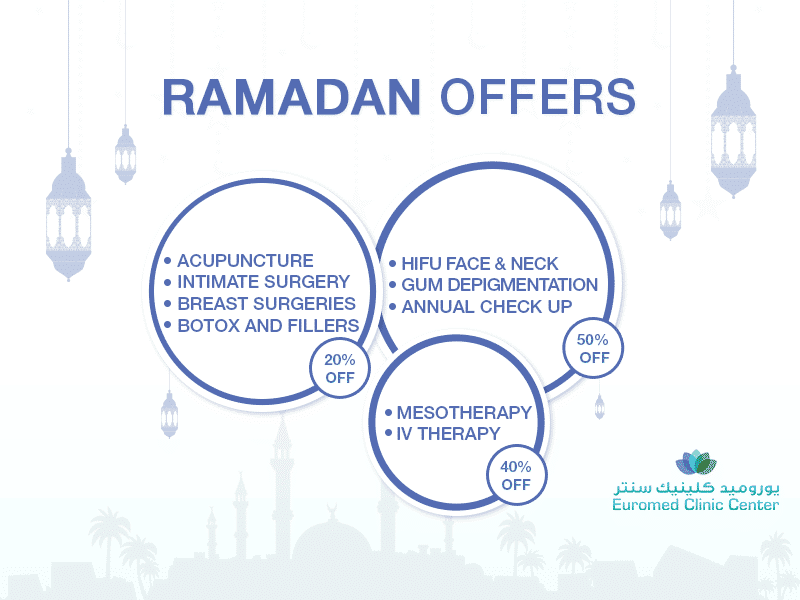 If you are interested, please do not hesitate to contact the Euromed Clinic Center Dubai if you need more information. You can call us or fill the online form to book an appointment. Get in touch today and get the perfect smile.